It seems like the Zoomer Robot Dog is one of the hottest toys of the holiday season! Not only are people looking for this Zoomer Robot Dog (with the bonus hoodie! ), but they're also looking for Zoomie the Pink Robot Dog! Search Target stores for the Zoomer Robot Dog. Look to the right side of the page, click the bold find in a store text and enter your location details. There are still some in stores near me! Search Walmart stores for Zoomer Robot Dog with the hoodie, Zoomer Robot dog with no hoodie and Zoomie the Pink Robot Dog. Search Kmart stores for Zoomer Robot Dog and select Store Pickup to see if it's in a store near you. If it is, I recommend ordering and paying for your Zoomer Robot Dog ASAP then going to pick it up, rather than heading to the store and hoping to snag it off the shelf. Second, keep checking for the item online! 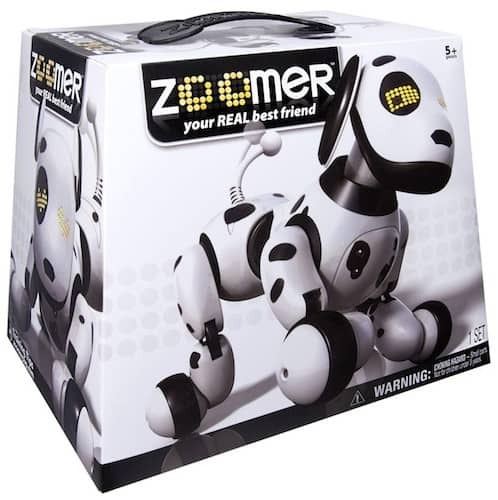 Zoomer Robot Dog and Zoomie have both been intermittently in stock at Walmart.com, Target.com, Kmart.com and Amazon.com. Check these links frequently and you might happen to catch the retailer when their stock is replenished! I have had this in my cart and paid for and ready for pickup at store. Before the store pickup opens, I receive an email stating my order has been cancelled. Either the employees are buying up the products or walmart is deceiving people just to get them in the store….like their so called Black Friday deals they seem to run out of in 1 second within opening the store.